The Oppo R17 smartphone is a flagship device with a premium body design and impressive features. The Sharp Aquos R2 Compact, on the other hand, is equally a flagship phone that sport’s premium body design. Both phones have a similar notch on the front and they also pack great cameras for photos. We will be looking at the comparison between the Oppo R17 and the Sharp Aquos R2 Compact smartphone. The Sharp Aquos R2 Compact has a portable body that is wrapped with metal and polycarbonate. The phone is both dust and water resistant. It measures 64 mm x 131 mm x 9.3 mm and weighs 135 gram. You will get a dual notch on the phone. One is on the top that house the selfies snapper while the bottom notch house the fingerprint scanner. The Oppo R17 is built with Aluminium alloy and Glass. It has a notch as well with an onscreen fingerprint scanner for security and is available in multiple colors. It measures 74.9 mm x 157.5 mm x 7.5 mm and weighs 181 gram. 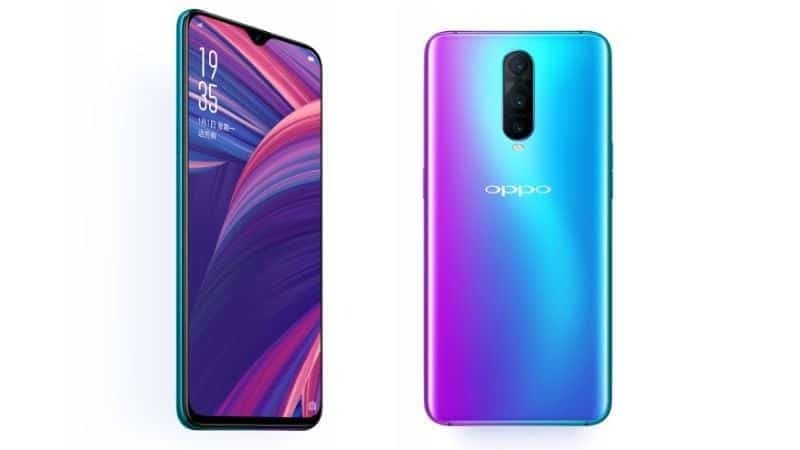 The Oppo R17 has a screen size of 6.4 inches Full HD+ with AMOLED capacitive touchscreen and a resolution of 2280 x 1080 Pixels (394), while the Sharp Aquos R2 Compact has a smaller screen size of 5.2-inches FHD+ with IGZO, IPS LCD capacitive touchscreen and a resolution of 1080 x 2280 Pixels (485ppi). Both phones feature a screen display protection and they will offer clear visuals to users. The Oppo R17 wins with a bigger screen and higher screen to body ratio. The Oppo R17 has a combo rear camera of 16 Megapixels + 2 Megapixels while the Sharp Aquos R2 Compact has a single rear camera of 22.6 Megapixels. Both phones have a dual LED flash and they can also shoot 4K videos quality as well. The Oppo R17 has a front facing camera of 25 Megapixels with F2.0 Aperture, Sony IMX576 Exmor RS, and Face Recognition, while the Sharp Aquos R2 Compact has an 8 Megapixels with F2.0 Aperture, and Face Unlock. The Oppo R17 has a Qualcomm Snapdragon 670 chipset with Qualcomm Adreno 615 GPU, while the Sharp Aquos R2 Compact has a Qualcomm Snapdragon 845 SDM845 chipset with Qualcomm Adreno 630 GPU. On the memory, the Oppo R17 is available in 6GB and 8GB RAM with inbuilt storage of 128GB which is expandable, while the Sharp Aquos R2 Compact is available in 4GB RAM with internal memory of 64GB which is also expandable. The Sharp Aquos R2 Compact is powered by Android 9.0 Pie operating system, while the Oppo R17 is powered by Android 8.1 Oreo operating system. On the battery, the Oppo R17 has a battery capacity of 3500 mAh, while the Sharp Aquos R2 Compact has a battery capacity of 2500 mAh. They also support fast charging technology. The Oppo R17 will sell at a price of $600, while the Sharp Aquos R2 Compact will cost around $400. In terms of performance, the Oppo R17 will perform better and the phone is also looking more beautiful and premium than the later. The Sharp Aquos R2 Compact has an edge on the IP68 rating and it’s also more affordable than it’s rival.